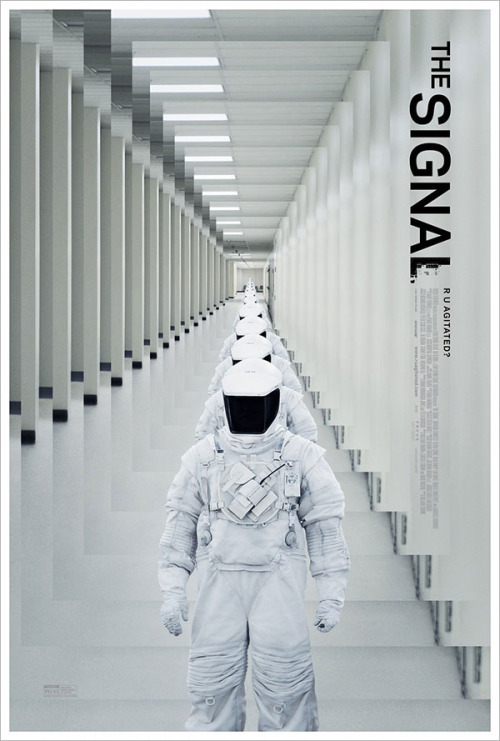 My review of the science fiction film THE SIGNAL starring Laurence Fishburn is now showing at Cinema Knife Fight! 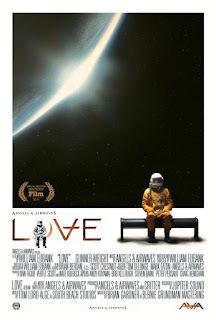 I enjoyed this unique film quite a lot. Check it out, let me know what you think. Margaret's Ark Audiobook Now Available! Charging Towards THE END, again! Over the past couple of years, I’d been working on two novels concurrently: the above title, and Plague of Locusts. Where Woods is a fairly straight horror novel, and as such will be authored by my dark half, G Daniel Gunn, Plague of Locusts falls in line with my other biblical-themed suspense novels, written under my actual name. There’s a difference in this particular story though: it science fiction. I've been a sci-fi fan since I was a kid, and a few years back decided to give it a go, myself. After finishing an early version of Plague of Darkness, the idea for Plague of Locusts was spawned by a one-paragraph blurb I’d written (and subsequently forgotten about) in a notebook during a very boring meeting at work. The scene I’d written became the opening scene of Locusts…. So, anyway, I finished Woods the other day and knew that I had only 30,000 words or so left to write in the first draft of Locusts. After some prayerful debating, I decided that in honor of NaNoWriMo this month, I’d put the horror novel aside to ferment for a few weeks before jumping back in to edit, and finish the first draft of Locusts. So far I have written around 7K words, picking up where I left off last winter. I really like this novel – a lot of characters who feel fleshed out. It’s fun to write about them. This could end up being a series, as sci-fi novels sometimes end up doing, but who knows. It’s definitely open to it. Wish me luck. I may not write 50,000 new words for NaNoWriMo, but I’m aiming to at least finish the first draft of a second novel in only a month! Just yesterday I typed the oft-sought after words THE END at the completion of a new novel, tentatively titled Lost In The Woods (might change it to The Thinning). Now, it's just the first draft, so have a long journey of revision ahead of me, but that's OK. I like revision. Like smoothing and polishing a statue (I guess - never actually carved a statue, but allow me my metaphors). LitW is a novel I'd started a few years back.... quite a few, actually. I'd put it down, pick it up, worked on Plague of Locusts for a time, went back to Plague of Darkness and massively rewrote that novel. But kept finding myself returning to this book. It's goofy fun horror, but since no real biblical connection (loose tie to mythical concept of Purgatory, but not really), it'll be under my pseudonym G. Daniel Gunn. More as revisions commence. 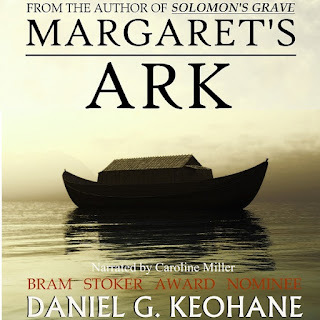 Margaret's Ark Audio Book Coming Soon! In just a couple of weeks, the Audio Book of Margaret's Ark will be released. Narrator Caroline Miller has done over and above my expectations with the reading of this novel. And I imagine it wasn't easy, considering how many characters are in this story. Her voice and style is perfect for the novel. It was very cool, listening chapter by chapter someone reading Margaret's Ark. I'm very, very excited about this release. Soon to be available at Audible.com, Amazon and iTunes. More details as we approach!!! 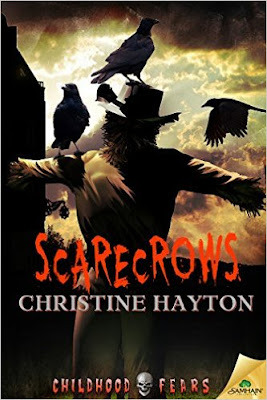 So we come to the last stop on the Childhood Fears blog tour, with author Christine Hayton, author of the novella Scarecrows which is part of the collection, discussing some decidedly dark (I mean dark, people) traditions of Christmases past, in honor of J.G. 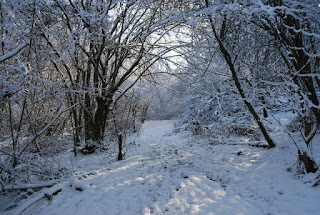 Faherty's novella Winterwood. Not the spiritual side, but the traditions the world comes up with over the centuries. Check it out here, but be warned, you might never look at Christmas the same way again. Childhood Fears: L.L. Soares and I Talk Scarecrows! LL: This cornfield is so weird. I actually feel smaller. (Looks behind stalks). Hey kid, where’s Dan? DAN: It’s me. I’m a kid again. So are you. There’s something magical in this field. LL: (holds his hands out in front of him) Wow. This is so weird. And it must be close to Halloween, because you're dressed as… who are you dressed as? LL: Who? Oh, never mind. So why did you ask me to come here at midnight? DAN: So we could discuss our CHILDHOOD FEARS of course. And we’ve been given a topic. Scarecrows. LL: Like the one hanging over there (Points flashlight). I have to admit, that’s the most lifelike scarecrow I’ve ever seen. I almost expect it to jump off its post and dance around. DAN: When I was a kid, scarecrows were usually fun. I never considered them frightening in any way, just big like pillows stuffed with leaves, with badly-made paper bag heads. Not to mention the Scarecrow from THE WIZARD OF OZ (1939) was one cool dude. LL: If he only had a brain! Maybe he was a hungry zombie! DAN: All was Great Pumpkin fun, until—and I’m dating myself here—I saw a commercial for the Wonderful World of Disney’s Sunday night movie THE SCARECROW OF ROMNEY MARSH (at least I think that was it, 1964… though for me it must have been a re-run since I would have been only 1 year old). LL: Hey, I remember THE SCARECROW OF ROMNEY MARSH on Wonderful World of Disney, too. It must have been a rerun, since we would have been way too young when it first aired. They basically took a British movie called DR. SYN, ALIAS THE SCARECROW from 1963 and chopped it up into chapters for TV. 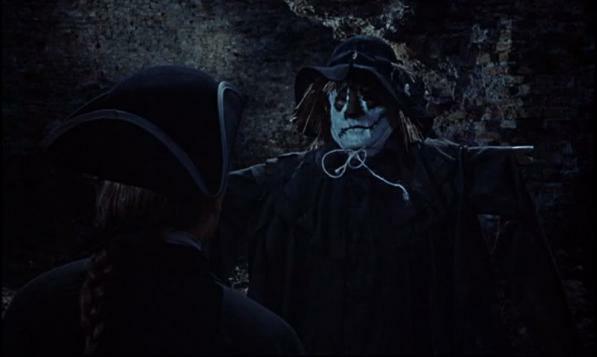 Dr. Syn was the leader of a band of rebels who dressed like a scarecrow and rode around on horseback scaring people. Or something like that. I remember the scarecrow left a big impression on me, too. At the time, I thought it looked so cool! DAN: Not that I went running in the other direction when I saw a real scarecrow (like I did, and still do, with clowns), but suddenly there was a darker side to a normally fun tradition. During the day they were still fun, dog-pee laced leaves raked in a pile and stuffed into old pants and shirts. LL: Ah, the joys of suburban life. LL: Where did that scarecrow go? DAN: He probably just fell down…..I hope. Anyway, years later I’d be shocked to learn the man behind the ROMNEY MARSH scarecrow mask was one of my favorites, Patrick McGoohan, from THE PRISONER TV series. LL: Yeah, I liked McGoohan, too. He was also in the Disney production THE THREE LIVES OF THOMASINA (1963), about a cat that brings a girl and her father closer together. How sweet! DR. SYN/ROMNEY MARSH was actually the second version of the story. The first one was in 1962 and was a Hammer film called NIGHT CREATURES, which featured Peter Cushing in the lead role as Dr. Blyss. But instead of dressing up as scarecrows they dressed up as skeletons on horseback! DAN: But back to scarecrows. When evening fell in Octobers, and the winds picked up and everything got very Ray Bradbury-ish, I’d remember that stupid, scary commercial and a sense of dread would begin creeping in. Hollywood (and all those friggin' horror writers) has a nasty way of peeling back the goofy marker faces of our childhood joy and adding a dose of our nightmares to the mix. I remember the commercial for ROMNEY MARSH more than the series. Much like the commercial for MAGIC (1978) gave me ventriloquist dummy nightmares for years, this commercial put a dark, terrifying spin on such a fun aspect of October. Granted, I was a bit of a sensitive little soul, I was. LL: That commercial for MAGIC was amazing—and much scarier than the actual movie. I’m sure lots of kids had nightmares about that one. 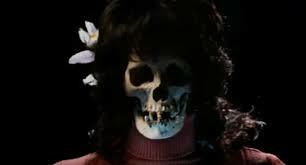 The best/scariest commercials when I was growing up were that one and the one for Dario Argento’s SUSPIRIA (1977), where a woman has her back to us and is brushing her hair and suddenly she turns around and SHE HAS A SKULL FACE! Ahhh, the days of great movie commercials. They don’t make ‘em like that anymore. LL: I always thought scarecrows were very atmospheric and had the potential to be great movie monsters. There’s also a cool TV movie called DARK NIGHT OF THE SCARECROW (1981). I always wondered why there weren’t more movies about supernatural scarecrows. They look so great. It just seemed natural to me that they should become horror icons, especially since scarecrows and jack-o-lanterns are so strongly identified with Halloween. But unfortunately, they never caught on in the movies, like vampires or zombies. DAN: Yea, because the nature of scarecrows can be pretty frightening. String up a likeness of a man in a field, and let the wind move it about. A makeshift, rural crucifixion. There's something macabre and wild about these things. LL: Not to mention they're so closely associated with autumn, the harvest and slow death of summer. DAN: So, what scared you as a kid? LL: I remembered other kids would have nightmares after seeing horror movies. That never happened to me. I guess I identified too much with the monsters. I seem to remember seeing stuff on the news – “real life” horrors – that were scarier than any scarecrow or clown. DAN: Funny you say that. Between us we've got the universe of fear covered. You'd peer under the shades of your bedroom at night and see a serial killer standing there, looking back up at you. LL: Dressed as a scarecrow! DAN: Me, I'd see a demonic scarecrow with a scythe. DAN: A scarecrow and a clown? LL: Why not? Everyone needs a friend. DAN: Of course there was that night when I was cutting across a field as a short cut and passed a scarecrow mounted up on a stake, then heard a rustle behind me, turned and noticed it was gone. But the rustling continued, and got closer. But that’s another story. It probably just fell. DAN: No, I made that up. DAN: Where did they come from? LL: I don’t know, but they look angry. Maybe they don’t like us talking about them in the middle of a cornfield. VOICE (suddenly very loud and close): I am He Who Walks Behind the Rows! DAN: You don’t have to tell me twice. Let’s get out of here! If scarecrows scared you as a kid, or still do, check out Christine Hayton's novella Scarecrows, part of Samhain Publishing's collection CHILDHOOD FEARS. Clowns are strange entertainment for children, at least to some of us, and sometimes, they can be deadly. 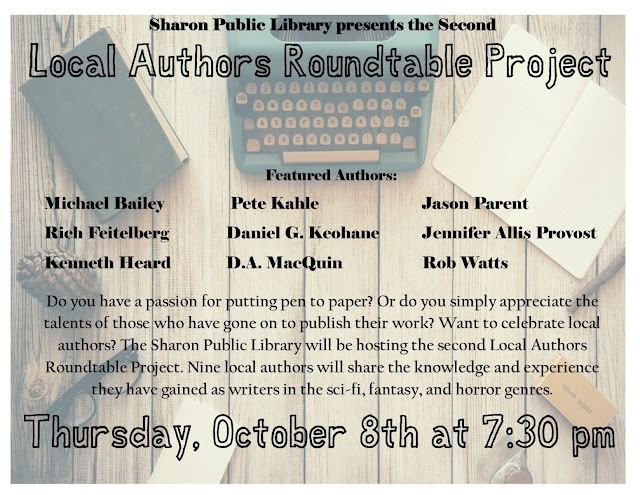 In honor of the release of the novella collection CHILDHOOD FEARS (Samhain Publishing), the authors of the four stories contained therein are discussing what fears affected us. As a child, and as adults. Also included is an interview with me and co-author of "Nightmare in Greasepaint," L.L. Soares. In honor of the release of the novella collection CHILDHOOD FEARS (Samhain Publishing, 2015), those of us who are featured in this paperback / kindle collection are talking about childhood fears of our own, strange and bizarre stories of what kids will do (as in today's entry), or simply talk to each other about how we came up with out story in the first place. 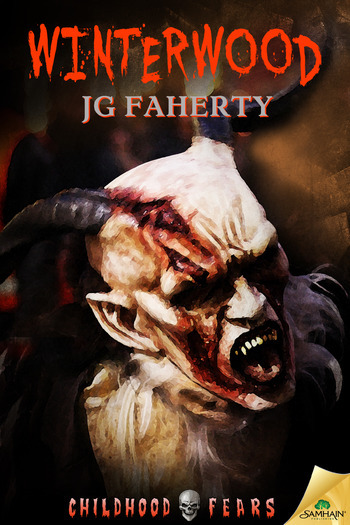 JG Faherty (author of Childhood Fears' "Winterwood" novella) talks about the Japanese game of Hitori Kakurenbo, a decidely twisted and frightening rendition of Hide and Seek, only between you, and a demon-possessed Teddy Bear. True story, which makes it all the more creepy. Come on out and learn about the craft of writing and meet some fun, local authors. Maybe even get a sample of their wares! Mine included. 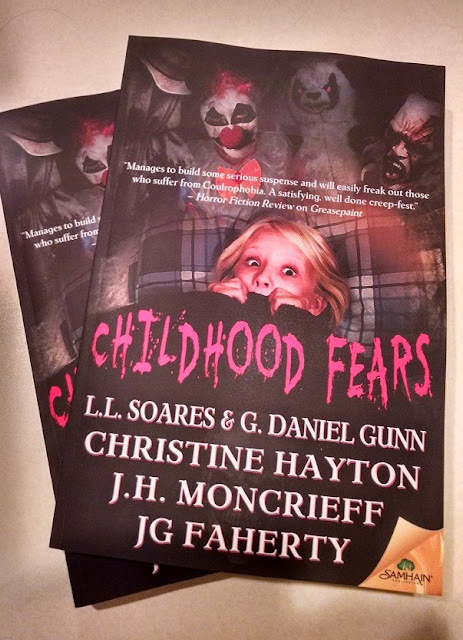 Publishers Weekly Review of CHILDHOOD FEARS! Hello again. My review of the kids' movie MR. PEABODY & SHERMAN (2014), a film I think every boy who's had to deal with his sister's obsession with FROZEN should watch (and make his sister watch), is now available to Cinema Knife Fight. Check it out, watch the film, see if you agree. So, remember when NIGHTMARE IN GREASEPAINT, written by me (as G Daniel Gunn) and L.L. Soares was released in May as an ebook? 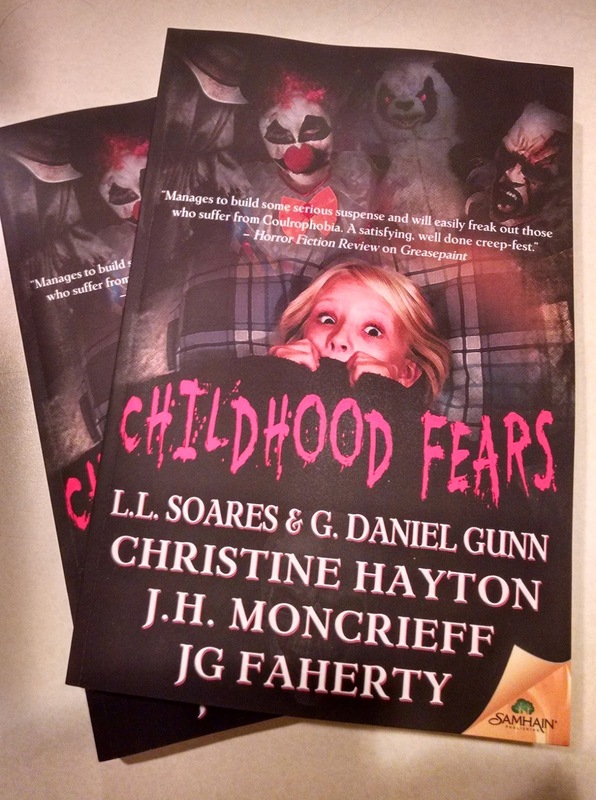 Well, the plan is for this novella and three other awesome titles in the series to be packaged in print as one collection, called CHILDHOOD FEARS. It's coming out next month from Samhain Publishing, but isn't yet available anywhere for pre-order (the kindle version of the collection is, but it's priced more than if you just bought the 4 novellas separately, so obviously things are still in flux). I got my author copies in the mail yesterday and it looks awesome (picture is a bit washed out but trust it, it's a gorgeous product, in its creepy way). Hello. Been a long time since I’ve sent one of these out. Will get right to it, and will try to keep it brief. I’ll put the timely ones first so you can mark your calendars. Been a busy few months…. I’ll also be speaking to High School English class this Thursday, September 10th, at St. Peter Marion High in Worcester. A number of students chose Margaret’s Ark as their summer reading project and we’ll be doing a Q&A with the author (aka Me). Should be fun. 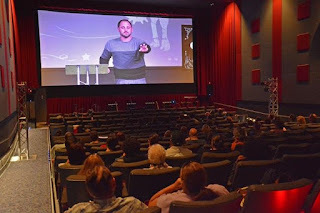 Thanks to Dawn VanRiper for setting this up. My horror novella written under my horror pseudonym G Daniel Gunn and co-authored with L.L. Soares, is available currently as an ebook at all major outlets (Amazon (http://goo.gl/jc9iZ4 ) Barnes & Noble (http://goo.gl/LUqGyV ) or anywhere ebooks are sold), and sells for less than three bucks. 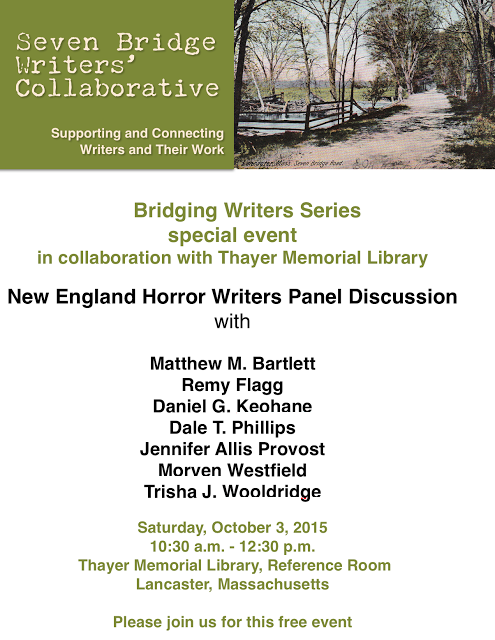 On June 1st of this year, the New England Horror Writers released our third anthology of short stories, called WICKED TALES: THE JOURNAL OF THE NEW ENGLAND HORROR WRITERS, VOLUME 3. I don’t have a story in here, rather, I co-edited the collection, along with Scott Goudsward and David Price. It’s an amazing collection of stories from New England authors, with an introduction by Chet Williamson and awesome cover art by the artist Ogmios. M most recent novel as Daniel G. Keohane is still available. It’s gotten some nice reviews but could always use some more. If you’ve read it, why not leave a review, let others think, good or bad. I’ve thick skin. 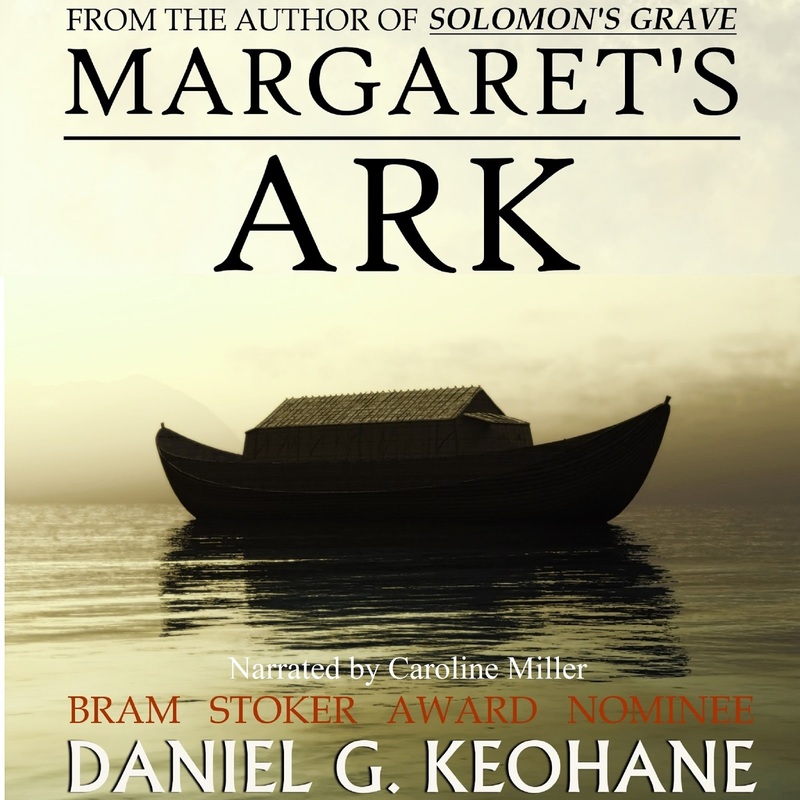 Some MARGARET’S ARK news coming soon: in negotiations to create an Audio book of the novel. More as it progresses, but this should be cool when it’s completed later this year. My latest novel-in-progress, a rather unique horror novel written as G Daniel Gunn, is called (for now) LOST IN THE WOODS. Still working to finish the first draft and type those ever-elusive final two words: THE END, hopefully soon. More as this progresses. “My Dearest Gwendolyn,” a short story, is coming eventually to the shared anthology MADHOUSE, once all contributor copies are signed. Currently the sig sheets are traveling the country. OK, that’s about it. Hopefully I’ll be better about sending these out more often. Of course, I’ve said that before. 2015's Wheels and Heels Against MS! 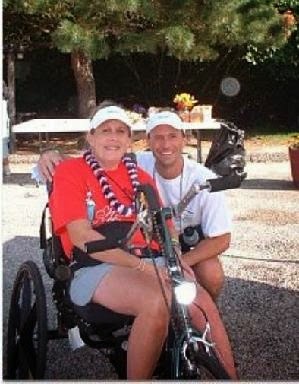 As another summer winds down, the MS Challenge Walk is fast approaching. The event is only a month away but, rest assured, Anne and I are signed up and ready for our annual battle to help stamp out Multiple Sclerosis! 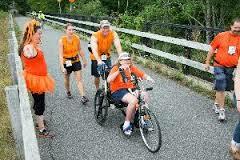 On September 11 - 13, we will return to the roads and bike paths of Cape Cod for our 3-Day, 50-mile journey. As Anne and I enter our 11th and 13th year respectively in the event, we remain determined and steadfast to celebrate that day when MS is nothing but a memory. Each year, we have looked to you for your moral and financial support. And each year, you answer the call and proven yourselves true heroes to our cause. We hope that you will continue by our side as we walk again to stamp out MS once and for all. No donation is too small. You can also mail a check to myself or Anne, making it out to The National MS Society.